We’ve been working on updates to the Jobs & Candidates experience within Hireology to make it easier to navigate your account. 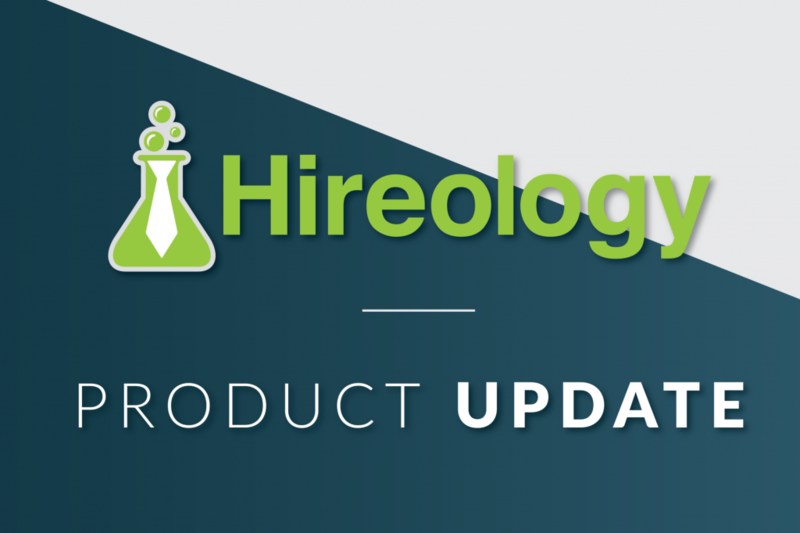 Soon, we’ll be upgrading Hireology to separate Jobs & Candidates into two separate workflows: Jobs and Candidates. Our walkthrough video takes you through everything changing. Everything you find today under Jobs and Candidates is staying exactly the same, and is now in the Jobs tab. Like today, you’ll find all of your open, pending and closed jobs here. 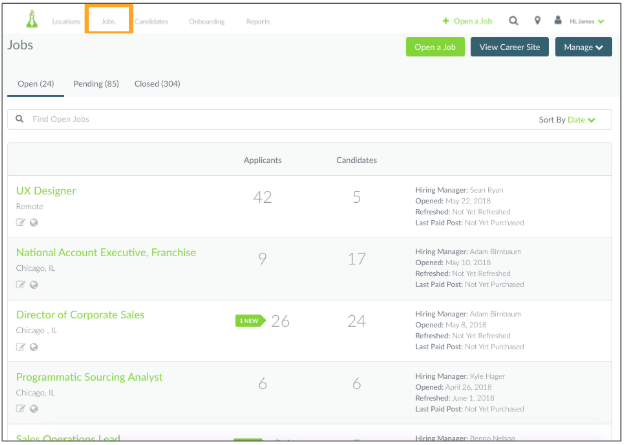 Under the new Candidates tab, you’ll be able to browse all applicants and candidates across all of the roles your organization has. 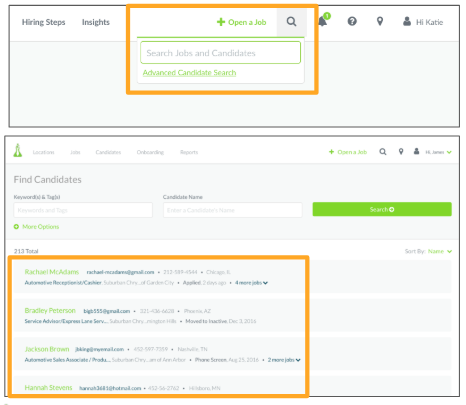 The Candidates tab centralizes your talent pool into a single location so you no longer have to search through each open (or closed) position to find the applicant you need. The new global search along the top allows you to find applicants and candidates using names, phone numbers, email addresses and tags – making search incredibly powerful. 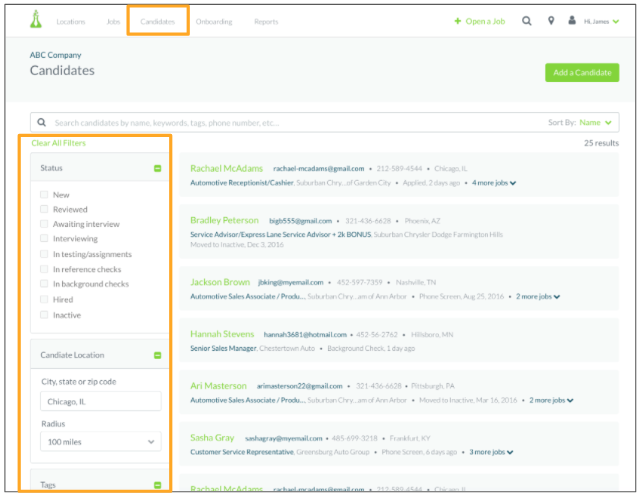 Search results now contain more details about your candidates, giving you a quick, bird’s eye view to applicant data from the search results screen directly. Along the left hand panel in the Candidates tab, you’ll be able to enable filters to quickly sort through your applicants and candidates. With a simple check mark, you can see applicants that are new, reviewed, and at various stages in the hiring process across every single job. If your team uses tags for things like tracking referrals, passive sourcing, or special certifications, you can also turn these tags into filters – transforming tags into a powerful way to quickly search your entire talent database. Finally, you can also use the location search to find applicants or candidates within a specific distance from your locations. In addition to the new candidate tab, we’re also upgrading the details page that opens when you click an applicant or candidate’s name. You’ll now see additional details along the top, including an easy way back to search results, additional candidate details in our redesigned header, as well as our new activity section. The candidate overview page includes recent activity to bring you up to speed. Recent scheduled or scored interviews, email communication or team comments will be highlighted near the top of the page. If you want to see all activity, just toggle over to the “Activity” view to see a full list of the applicant’s history. 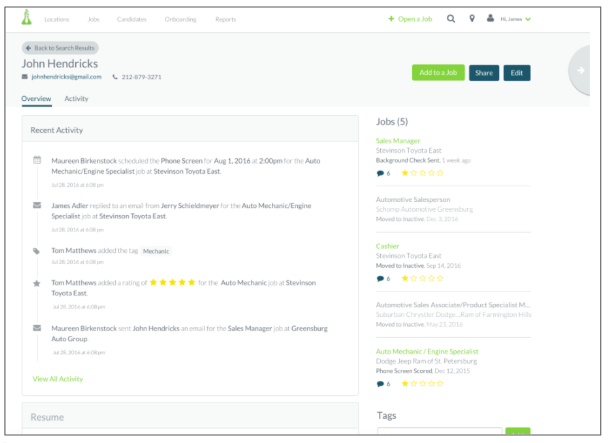 Along the right side of the page, you’ll also see any other jobs the applicant applied to, along with relevant highlights including star rankings to give you more context on skills or interview performance. If you’re a Hireology customer already, these features will be added to your account as part of our July product release. Look for the new candidates section, search, and overview page to be available in your account on July 31.